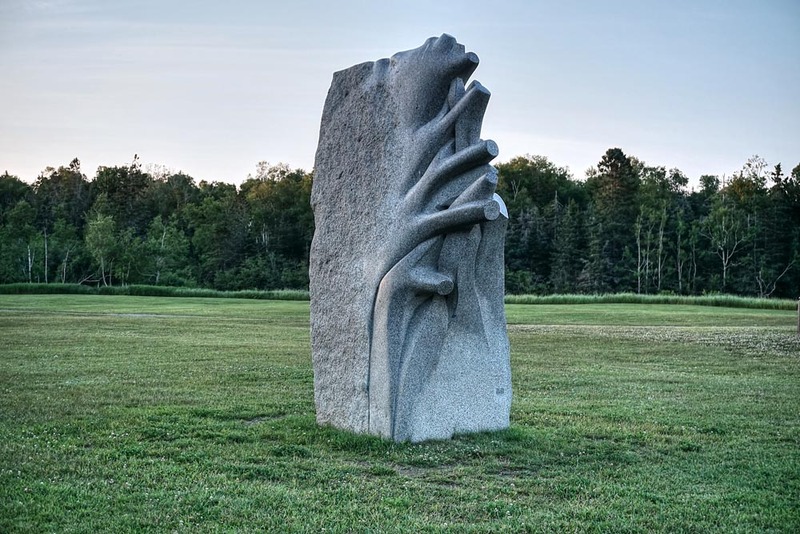 This sculpture by artist Karin Van Ommeren, is a gift to the Town of Saint Andrews from local donors and business sponsors of Sculpture Saint John to promote art in rural areas. It is part of a 70-site sculpture trail through Maine and New Brunswick. An initiative of TWO NATION VACATION, placed at Pagan Point Park in 2014 by the New Brunswick International Sculpture Symposium Inc.